We are a team of Anishinaabe, Mdewakanton Dakota, Navajo, Northern Cheyenne, Oglala Lakota, Wahpeton-Sisseton Dakota and are ever growing. We are chefs, ethnobotanists, food preservationists, adventurers, foragers, caterers, event planners, artists, musicians, food truckers and food lovers. We are committed to revitalizing Native American Cuisine and in the process we are re-identifying North American Cuisine and reclaiming an important culinary culture long buried and often inaccessible. 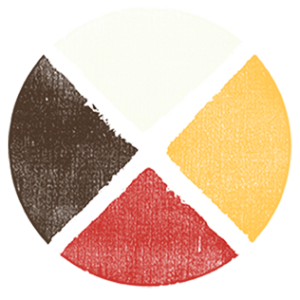 The Sioux Chef team continues with their mission statement to help educate and make indigenous foods more accessible to as many communities as possible. Dana Thompson is a lineal descendant of the Wahpeton-Sisseton and Mdewakanton Dakota tribes and lifetime Minnesota native. She has twenty years of experience in merchandising, marketing, special events, talent management, media relations, and project management in diverse industries and settings. 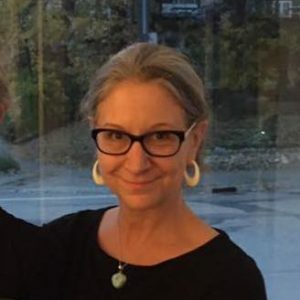 As an industry professional in Minneapolis since the mid 90s, she worked under the merchandising and marketing pyramids at Target Corporation until 2008. Also a working musician during this time, she simultaneously released seven records within the jazz and Americana genres as vocalist, multi-instrumentalist, producer, and as a booking agent (Find Dana’s music here!). She leveraged that dual experience to transition into large scale, national projects and events with companies such as MusicMatters, Effect Partners, GoKart Labs, and Aster Café before joining the Sioux Chef team in October of 2014. 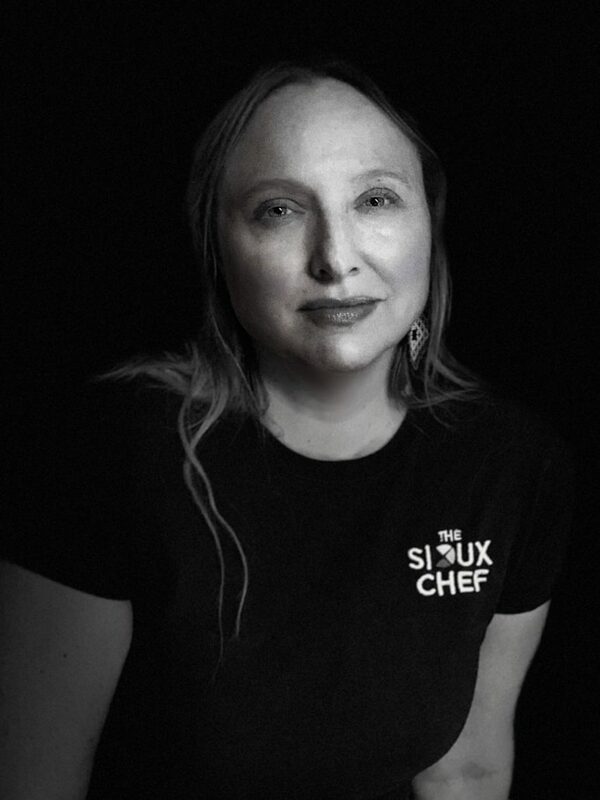 Nancy Sartor joined the Sioux Chef in early 2016 and currently manages its catering services. A lifelong hospitality professional, she’s also worked in event planning, marketing and arts administration throughout the Twin Cities and in Washington, DC. Nancy is a freelance journalist and audiophile, who enjoys learning and talking about food almost as much as eating it. With a penchant for gardening, cooking, music and mid-century design, she lives with her partner and golden lab in Columbia Heights, Minnesota. Brian Yazzie (aka Yazzie The Cook) is a Navajo Chef from Dennehotso, AZ on the Navajo Nation. 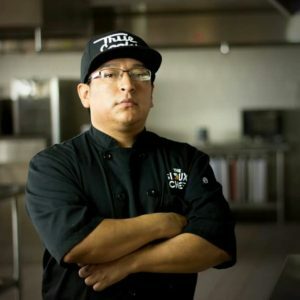 Chef Yazzie has a degree in Associate in Applied Science (AAS) in Culinary Arts from Saint Paul College. He caters private events and provides cooking demonstrations utilizing healthy Indigenous foods free of colonial ingredients. 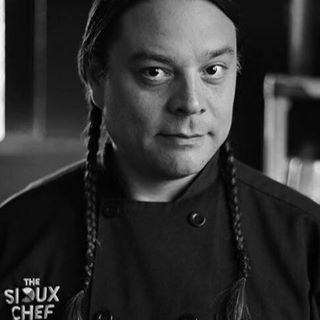 As the Chef de Cuisine at The Sioux Chef, he enjoys collaborating with other cooks and chefs on Indigenous food projects. Chef Yazzie aspires to explore old and new delectable Indigenous cuisine creations and to educate all populations on the health benefits and possibilities of an Indigenous diet. 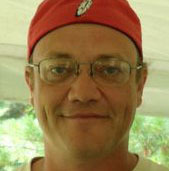 Chef Vern is one of the founding members of the Tatanka Truck team. Has been cooking for 17 years, in the Twin Cities at restaurants such as Common Roots, Pizza Luce and Triple Rock. He has always been interested in learning about the ancestral of his tribe and of First Peoples. This has been a natural progression of his career, and he is grateful for this opportunity to showcase these flavors! Frank Haney, Ojibwa, spent 23 years cooking food in restaurants, hotels and dinner theaters in Wisconsin. Frank grew up in a small town in WI called DePere, which is directly located next to the Oneida reservation. In 2005 Frank started working on the Tsyunhehkwa organic farm in Oneida where he helped to grow the sacred white corn and the grass fed beef herd, along with poultry, eggs and wild foraging of medicinal and edible herbs and vegetables for the tribe. From there he moved to the Dream of Wild Heath farm in Hugo MN. 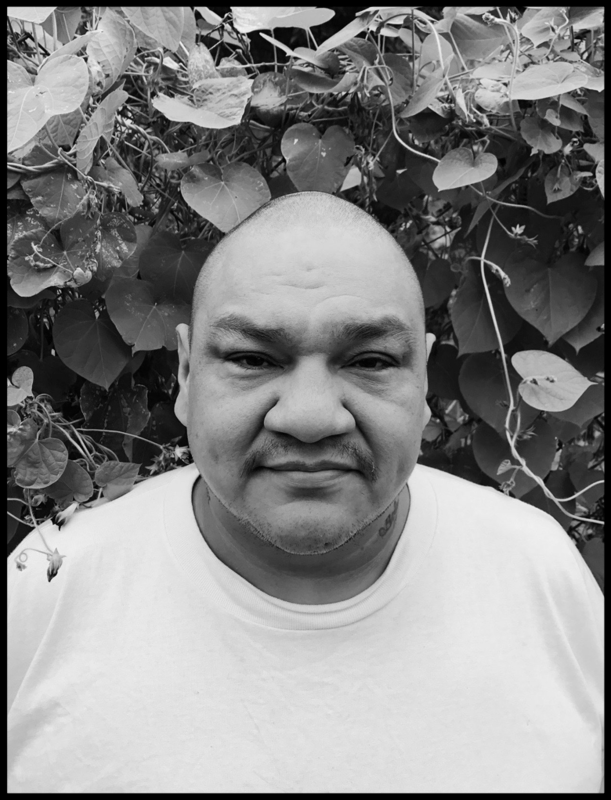 Frank is committed to reintroducing indigenous food back into the American diet. Following the seven generation philosophy, he believes that we can improve our physical and spiritual health by subscribing to our ancestral beliefs in regard to food. 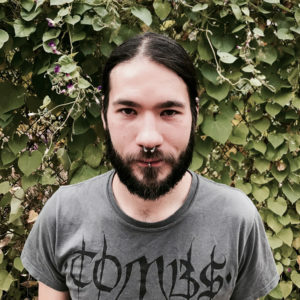 Frank’s educational background includes a Bachelor of Arts degree in music composition, an associates degree in retail management and an associates degree in computer networking. Mikee Willard has an Associates Degrees in Culinary Arts from Cordon Bleu. His career as had him working as a chef at such establishments as Charging Horse casino in Lame Deer, Montana, P.F. Chang’s China Bistro, and Gatherings Cafe at the Minneapolis American Indian Center. Mikee has been an important part of our team from the very beginning and personally helped with much of the success of the Tatanka Truck!